At Digital we help web publishers achieve more: more engaged readers, more enticing content, more advertising sales. We’ve been doing this since 2000 and have delivered training in more than 20 countries. Whether you’re a newcomer or experienced internet publisher, the Digital Training Academy is a great way to boost your knowledge and skills, helping you and your team get the most from your sites and their energy. At Digital we help web publishers achieve more: more engaged readers, more enticing content, more advertising sales. We’ve been doing this since 2000 and have delivered training in more than 20 countries. Whether you’re a newcomer or experienced internet publisher, the Digital Training Academy is a great way to boost your knowledge and skills, helping you and your team get the most from your sites and their energy. We hope you'll enjoy your Digital Training Academy, and also that you'll instantly be able to achieve more in your firm. This learning programme includes online lessons before and after the face-to-face parts of your Digital Training Academy, and there's also an opportunity for direct tuition in your Digital Classroom. Here is the place you can discuss issues with your tutor and other Academy participants. Do you have questions for your tutor? Is there something that was not clear in your Digital Training Academy? Is there a new point you would like to make? Are there any new issues that you have discovered now you are applying your knowledge? Use this space to make your comments and to ask your questions. Give your comment a short title to make it easier for other students to scan, or include the title of the Academy Lesson your question relates to (if there is one). The classroom is open for three weeks following your Academy. We’ve been training teams in the creative and media industries since 2000 and our sole focus is on the digital aspects of classic business and publishing skills. From publishing strategies and media sales to marketing and design, our Training Academy programmes change the way companies behave. Learning is fun, fast and focussed, with lessons structured around the theory, case studies and action plans for applying what we teach. Although we’ve worked for some of the largest newspapers and websites in the world, we can run intimate in-company classes for small publishers as well as large scale programmes for re-skilling hundreds of people. Our focus is on using the web effectively in marketing and publishing, and the origin of the 40 courses were in the training and coaching we began for internet publishers ten years ago. Our Academy Managers customise the training to suit the specific needs of publishers and can normally deploy a course within four weeks. Email Admissions@DigitalTrainingAcademy.com for more. For ten years we’ve developed insight and coaching programmes to give senior teams the edge their brands and websites needed. We blend marketing and communications strategy with digital insights to build smarter models for engagement and more successful sales for brands. Our consultants have been leading industry thinking since and some have been coaching senior management in digital media and marketing for 15 years. Based in London, our teams have worked in 30 countries, and across dozens of sectors to match the complex needs the brands we support. The global recession accelerated structural change in the readership and advertising markets newspapers serve, creating a perfect storm that threatens the very survival of most newspapers – both on and offline. As the ad revenue shortfalls bite and online newspapers fail to get the same audience growth as internet pureplays, newspaper leadership teams are faced with tough choices. Many fail to monetize those audiences effectively, lacking the models and skills to raise advertising yields and additional revenue streams. It’s tempting to cut digital publishing rather than see it as core to future revenue platforms, however the decisions media firms take during the next 18 months will have disproportionate implications on the future of their brands. For some those futures will be painfully short: many newspapers will not survive the recession and its aftermath. After 15 years in the online publishing sector, Digital’s team share examples of their strategic insights and practical experience with publishing leadership teams. This Digital Insight Report accompanies in-company strategy programmes for media groups eager to navigate the storm and chart a safe course for blended on and offline publishing. Building a successful online media property means building a sustainable and resilient audience. The dynamics of audience acquisition and engagement on the web are different from those in classic media channels and although they hinge on the delivery of great content that satisfies audience needs, marketers have to work hard to acquire the right audiences at the right price. Add to that the competitive landscape where every other site is only a click away and there are many challenges in getting the model right. 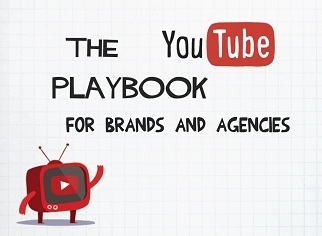 In this report we collate smart tactics for getting audiences into and back to the content. These notes are the write-up from a product development discussion about the travel sector. They reflect key elements media brands would want to consider in developing travel-focused online services, and also underscore the challenges in getting the formula for product development right. In the web environment, consumers can have many needs met without relying upon classic media brands, so as publishers and broadcasters complete their migration to multi-channel providers, they need to broaden their proposition and reposition their role. If the business model relies on acting as intermediaries between buyers and sellers – bringing together focused audiences that become value in the advertising proposition - then the formula for success online means developing services that are so strong and compelling they draw in audiences time and time again through a 'must-have' proposition. Newspapers have run out of time. It’s crunch time because the online newspaper model for most is little more than an enhanced copy and paste of the print title, with archives and minor discussion – a model pretty much the same as the mid nineties. Most newspaper group have failed to shift their web editions into high traffic community hubs that can act as a transition for advertising revenue as it migrates further out of print. Strategies & Insights: Finland, exception to the trends? Finland has one of the highest rations of newspaper titles to population anywhere in the world. There are 200 newspapers mastheads for just 5 million people. On the surface this suggests the newspaper industry remains neatly protected from the changes in readership dynamics elsewhere in Europe. Our take is that this is not the case, but instead, the geographical boundaries, the tradition of newspaper reading and the affluence of the Fins have created barriers to change that are less permeable than those in North America and Western Europe. The storm is coming, but will take eighteen months longer to be felt heavily in much of Scandinavia. In our research reports about internet marketing, web publishing, online audiences and the future of communications we have hints and tips you can use. Online news media is a laboratory for the growth and change of internet publishing. Since Europe’s first online newspapers launched in the early 90s, growth in audiences has been rapid, and as the print sector’s audiences continue their inexorable decline, web readership makes for a staggering contrast. By looking at how the product development key titles has changed over time, media groups can uncover new benchmarks for web publishing. Here we collate a few examples of different aspects of best practice. Integrated text and video editorial news with the web teams deeply integrated into the newsroom. 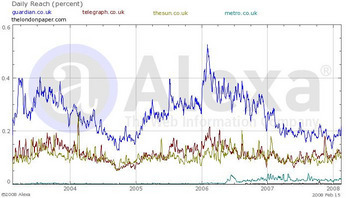 UK’s first online newspaper led the market in the 90s but lost its lead from 2000. Following internal reorganisations and a succession of restructures, the titles shifted offices and cultures, moving into a purpose built integrated news room that unlocked a stepchange in both publishing and management control. The Guardian achieved the stepchange in social media by involving its audiences deeply within the sites. They created mass reach by syndicating content across many social media platforms. The Associated titles were some of the first to launch online in the UK, but the early model of on screen editions of local newspaper titles proved limited. What emerged alongside was a powerful portfolio of regional portals and one of the most diverse ranges of niche classified websites of any news media publisher. As advertising budgets migrated online DMGT was busy building the platforms it would migrate into. The Wall Street Journal is a longtime online stalwart, with a premium brand and authoritative voice. Their online publishing business models tested the nature of subscriptions and their advertising revenues have included the pioneering of new formats and surround sessions. The British Medical Journal was one of the first scientific publishers to really embrace online in the UK back in the mid 90s. Their expansion of the site’s archives, the repositioning of their portfolio of journals, and the creation of online-only content are all part of what publishing chief Peter Ashman describes as ‘publishing oblivious of print’. Now the transition is complete, they firmly sees its print titles as ‘a digest of what is on the website’ and in the archive. Taking broadcast news journalism to online audiences no longer means sticking to the website. The BBC’s online presence is much broader than their core websites, and much smarter than a single channel publishing model. They reach out to their online audiences by finding out where they are and packaging content so it can be effectively accessed. Pioneers of blogging and live updates, the BBC broadcast network actively encourages submissions from writers in the field. They are defining the new model of realtime news publishing and their massive network of correspondents and media channels has changed audience expectations of broadcasters, both on air and online. This is about a blog for every customer. It’s a transformative marketing strategy that changed the way the retailer connected with its customers, allowing them to write about their passions and travel adventures and then forward them to friend with simple one-click features. For eight summer weeks eight award-winning Gazeta Wyborcza's photographers shared their knowledge of photography-making with readers of Gazeta. Each Friday we published theme lesson on how to take better photos. Photo reporters shared tips and tricks about photography-making, illustrating it with photos. We named this programme School of Photography Masters at Gazeta. Our goals were to create a new form of relation with our readers, as well as attract new ones with special content in Gazeta; to encourage people to interact with us and to visit our new web portal wyborcza.pl; to cooperate with Gazeta's Sale Department and of course - increasing circulation of Gazeta Wyborcza. Agora has been changing its content and distribution models rapidly during the last three years. The expansion and integration of broadcast media is a great example of this. The teams from Gazeta.pl and Radio Tok FM began pooling access to content in a move to integrate certain aspects of their print and radio news operations. Tok FM's studio broadcasts online in parallel with conventional on-air broadcasts, and is now housed next to the broadcast television station for Gazeta.pl. Innovation for digital publishers and broadcasters means much more than simply adding social media around existing editorial content. For some media groups it can mean completely new strands of programming content and for Poland's Agora media group this includes expanding into web-centric soap operas - a massive leap from their traditional print and broadcast output. The creation of the N1ckola (http://n1ckola.pl) product and platform is a great example of how resources were pooled between the web and classic media. Agora created their own story with highly localised content, based on the license and model of Lonely Girl 15 (from the US, and then the Kate Modern programming on Bebo in the UK). It took a year to develop and sell the model and demanded new staffing structures as well as partnerships with Bebo and interlinkages between the group's media assets. The early years of web publishing in the UK newspaper industry were dominated by The Telegraph, but in 2000 The Guardian took over the baton in terms of innovation and audiences. They've held pole position ever since, being first to market with widespread blogs, taking innovative approaches to community and building out new digital offerings to help their acceleration into other markets. In this interview with Paid Content, Guardian CEO Carolyn McCall talks about their strategy, structures and goals. The newspaper is half way through a £15m rebuild of its internet properties and getting set for major launches in the USA. You can read the full interview here online, or listen to the transcript here. Exercise: Read through the interview, download the case study and consider the implications for their audiences and for the loyalty to their brand (both for the web and print edition). Which elements of their model could your publication explore further? If you are a participant at our Digital Publishing Strategy Academy, then note down three to five areas you could explore - we may discuss these as a group in your management training. The digital publishing industry is still young and the models of how we use content are changing. Digital strategies should be flexible and open to regular revision, and as part of this, gaining input from other publishers can be valuable as a way to reflect on your own plans. These publishers have each taken different perspectives on web content and the commercial models behind their businesses. Executives taking our Digital Publishing Strategy Academy are encouraged to read through the interviews and reflect on the directions of those media brands. Are you already trying out these techniques? Are there issues you can take on board for your own business? Are some of their ideas applicable in your sites? Many publishers constantly wrestle with the challenges of counting online metrics. In this Analytics Academy we review some of the common metrics and look at which matter most and why. We look at the ways they can be counted and why the metrics need to be grounded in business process. There are tips for key metrics and ways to find out more from the Digital Analytics Academy online classroom. Whether developing a single web page or a whole campaign microsite, marketers become publishers and need to understand the essentials of online publishing. This short video presents some of the ideas around the nature of information and the provision of digital content. Developed by Kansas State University, this is stimulus material designed to get participants thinking about what makes for effective content. It explores the differences between digital information and classic printed formats, and how information for the web can be most effectively thought of. For participants on the Digital Publishing Strategy Academy programmes this is a compulsory stimulus video. Our thanks go to Kansas State University for sharing this content. Writing for the web isn't just about tuning your style and making your headlines catchier, it's understanding how the medium works and writing in a way that makes the most of what you have at your fingertips. As part of the Digital Design Academy see what this video shows you is possible and think about ways to harness the ideas on your site. Workshop output: What influences how many advertising impressions an online publisher has available to sell tomorrow? The internet product development workshops Digital Strategy Consulting runs have been helping media groups since 2000 to learn about how to build powerful online services. In this exercise you can download we apply Digital Strategy’s customer journey analysis to how people buy cars. This helps uncover the messages advertisers need to deliver, and the tools internet sites need to provide to help their audiences make decisions. It’s an approach that helps web publishers develop powerful online services. Get your internet product development right and the audiences accelerate. The growth of internet access has greater implications than just an additional channel in the communications mix. As people explore the new platforms, they reappraise their use of the old ones, and as audiences swell the market becomes large enough to attract investment in content, entertainment and commerce. This virtuous circle has been fuelling the Digital Networked Society (DNS) and from this research snapshot for the UK market at the end of 2007, it’s clear that Europe’s leading digital economy has entered a new phase is the dynamics of use. What are the developments and trends within the online advertising sector over the next eighteen months? Massive growth continues, market share leaps over other media, video formats come of age, the results of the acquisition frenzy make the industry mature, media planning and buying becomes much more complex and the supply explodes thanks to social media. Drawn from an edition of the Digital Publishing Strategy Academy designed for online newspapers, this handout is one of 30 supporting our executive coaching for online media groups. Download the lecture notes, click through the slides, and share your opinions here in the online classroom. Pre-Academy Reads: Shift happens - Did you know? We’re living in exponential times. Created by a North American teacher, the Did You Know video is a marvellous way to explain to kids how society is changing and the scale of media and technology change. Sometimes in the digital media industry we are so close to the change and the technologies that we fail to appreciate the scale of the change happening around us. This little video is a great reminder of the scale of change. When the story about the growth of technology is drawn together, it’s an incredibly powerful picture: a society tumbling into the most rapid and unpredictable change as social network explode and information travels at the speed of thought. Just think about your own life and what this could mean for you, your family, your business and the people you work with. Newspaper and magazine sites in Spain and the UK get a massive boost of traffic from foreign audiences. It’s been one of the driving forces since the start of online news publishing and the overseas contingent can easily top 50%. ComScore data at the start of 2008 suggested that among the UK media properties The Mail gets 69 percent of visitors from overseas, BBC 59 percent, Telegraph.co.uk 57 percent, Guardian 56 percent and Times 55 percent. The same models and issues are true for the Spanish speaking sites, with media properties from Spain enjoying disproportionate traffic from Latin America. Many media groups miss these dynamics because in print and broadcast, the model has traditionally been about producing and distributing locally. However, with increased globalisation of media savvy directors at the BBC and The Guardian are now actively targeting overseas audiences with special editions, services and content. Look out for the www.GuardianAmerica.com site launching in early 2008. Alexa provides a fast and convenient snapshot of online audiences that anyone can take a look at. The data analysis tool, now owned by Amazon, tracks the trails of a massive panel of users by recording each and every page they visit. The panel lacks the representation of the higher end online measurement tools, but provides a useful starting point for measuring the relative reach, page traffic or user levels between sites. In this case the daily reach in the UK for five online newspapers is compared. Here we collate some of the statistics from Nielsen Online and the Newspaper Association Of America to provide a snapshot of audience levels and revenues. In this one hour lecture, Danny Meadows-Klue shows how to get your analytics sorted for tracking the effectiveness of online advertising. Drawn from our full day Academy, this keynote session tackles what to count, how to count, why to count and even who should be doing the counting. Based on face to face research in Academies across Europe since late 2004, we've identified the common mistakes of publishers, agencies and advertisers. Get web analytics right and it transforms your marketing; fail to tackle it properly and you'll never know what's working. Watch the video lecture and follow the slides by downloading our PDF handouts. In this lesson we explore the growth of online advertising spend in the UK. As the world's fastest adopting internet advertising economy, the experiences here can be used to anticipate the next steps in other countries. Discover how the growth of search engines have swelled to account for half of all advertising, and why online is set to become the biggest advertising media channel by 2010. Planning your online sales means taking a strategic look at your inventory and the role of product development in your internet business. Increasing internet advertising revenues demands increased inventory and a smart online advertising yield management strategy. Get it right and revenues accelerate; get it wrong and the whole sales and editorial effort is squandered for nothing. Most web publishing strategies fail to unlock major revenues because of failure to invest in the strategy. This digital management strategy coaching exercise will have you question whether you are focusing your efforts where they will bring you strong rewards in the longer term, or is your sales machine purely tactical and opportunistic? Without clear plans, how can you be sure that your business will thrive in the new digital spaces? In-company deployments of this programme are customized to the specific sector and revenue strategy challenges you face. Digital’s consultants can transfer the ideas from our workshops into product development plans for internet publishers. Every publisher wants to raise their profits, yet it’s not always clear where to start. With rapid development continuing to be the norm, publishers need to be able to read the landscape and set the right direction. Costs and revenues behave differently in online to print, and the economics for success vary over time. Familiarity with the key principles behind different generations of websites is the starting point in knowing how to boost your website revenues. This reveals implications for the site’s business models and explains why some add little value and represent false paths, while others lead through the easy ground towards strong commercial growth. The rules of the marketing game have changed. The command and control television era where big brands delivered heavyweight messaging every night to the nation, has finally melted away. In its place a radically new structure has emerged that will dominate the next twenty years of marketing. Cultural evolution, catalysed by technology and typified by the web, has empowered media-savvy consumers with the tools to filter and select in a way never before possible. Customer expectations are huge and brands are failing. Trust has switched from institutions to friends, and the barriers to the flow of information have melted. The smallest of customers can have the loudest of voices. Society will never go back. In times of huge economic and technical change, knowledge becomes a critical success factor. Alongside the training and development services available in the Digital Training Academy, we created a series of research tools and papers you can download and share with your team. These are complimentary to all members of the Digital Training Academy. Share knowledge and learning from other internet training courses we’ve run. These online classrooms are the most relevant to your training programme for digital skills. Knowledge and training are critical for online marketers. Get it right and the internet becomes the most powerful marketing tool there's ever been, but getting it right is not straight forward. That's why I helped set up the Internet Advertising Bureau in 1997, and why I moved on from being its Chief Executive in 2005 to set up the Digital Training Academy. Thousands of marketers need to learn these new skills, so what the Digital Training Academy does is bring together senior industry figures to help them get there. Our team has been training marketers since 2001, and now through the forty academy courses, we have great ways to get your team on the fast track. Try exploring some of our articles to see additional perspectives. Exercise: What rocks and flops in digital publishing?